In May 2018 the CSU decided they would invest in Our Turn to encourage them to keep going forward with projects after the group gave them a presentation about consent and fighting sexual violence on university and college campuses. Courtesy of the Student Society of McGill University, Our Turn PDF. Altered by Elaine Genest. Minutes after a phone call regarding their funding towards Our Turn National, Concordia Student Union Financial Executive John Hutton received an email from the organization informing him they’ve incorporated. The letter mentioned that Our Turn, a student-led organization that aims to end sexual violence on campuses across Canada, gives thanks to the previous board for their service and work. About an hour after the CSU received word about a renewed board, Hutton received a call from Connor Spencer, a previous member of Our Turn. She told Hutton everyone on their board had been fired without warning and were blocked on all social media accounts and email accounts. Board members who were locked out of all accounts lost all of the research they had been working on as a result. “We lost access to everything, and that was kind of the moment when we were like, ‘Oh boy!’” Spencer said. Hutton said that he then decided to put a hold on a $25,000 cheque originally allocated to Our Turn. It was back in May 2018 that the CSU decided they would invest in Our Turn to encourage them to keep going forward with projects after the group gave them a presentation about consent and fighting sexual violence on university and college campuses. 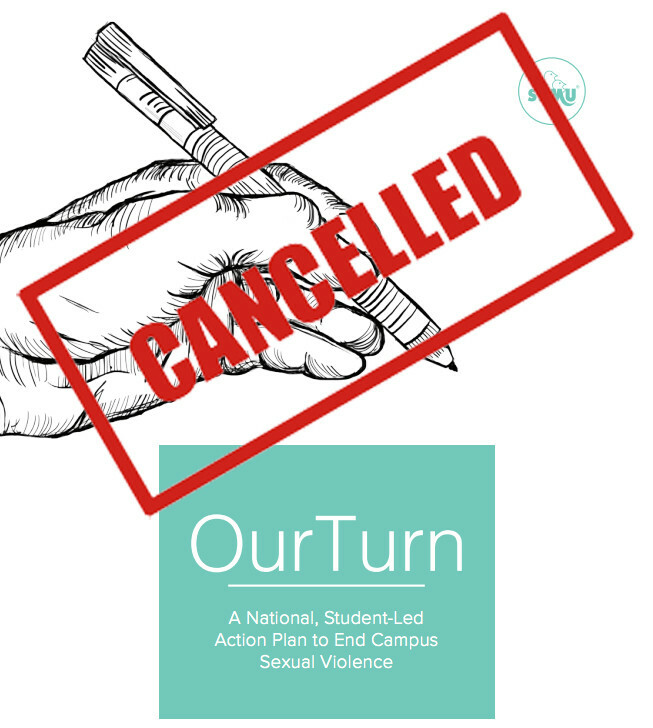 Our Turn is mainly known for the scorecard they created in 2017 to grade Canadian campuses on their sexual violence policies. The national average for Canadian campuses surveyed was a C-. Receiving a grade of D-, Concordia is the university with the lowest ranking sexual violence policy in Canada. By the end of September, Hutton received a call from Jade Cooligan Pang, the new president of Our Turn, asking Hutton why the $25,000 that council agreed to fund was not sent. “We rescinded the motion from May so that we’re not bound to send Our Turn $25,000,” Hutton told The Link. Pang told The Link that since they’ve incorporated, the CSU has severed ties with the newly incorporated Our Turn and has asked to not represent their undergraduate students at Concordia. Pang said the organization is still working with other universities in Canada. Ten out of the 12 members on board had been sent the termination email from a lawyer, notifying them of a new board. A letter explained that if that board wanted to keep their relationship with Our Turn they were obligated to re-apply for a position. The only ones who were not sent the termination letter were the founder and previous chair of Our Turn Caitlin Salvino and the previous vice-chair, Pang. Salvino said she didn’t receive the letter because she had already left the organization by then. Spencer explained that although she had been acting as vice-chair, it was the first time she ever heard about a new board coming in. Salvino said she was also left in the dark when it came to the switchover. “I never received any contact from Jade about the creation of the new organization, nor did she ask me for permission to use all of the documents and resources I created for the Our Turn committee,” said Salvino. Pang explained that Our Turn had been in conversations about incorporating the group since February 2018. “We were always wanting to incorporate; we have been talking about this since February of this year,” she said while mentioning they were looking to incorporate to better the institution. According to federal incorporation documents obtained by The Link, the new Our Turn board is made up of three directors. Pang, Andrew Propper, an assistant branch manager at RBC according to LinkedIn, and Katherine Cooligan. A fourth member originally listed told The Link they left the organization in the summer. Salvino and other board members who were fired agreed to remove both Pang and the fourth member from the board. They then renamed the organization Students For Consent Culture. Spencer said most of the team came from non-hierarchical organizing backgrounds and so there was some conflict between members on how power and work ought to be distributed. Spencer said that SFCC is currently trying to regain access to their emails and research they did for the past year and a half. She said that SFCC has kept the same relationships with universities and colleges across Canada and that they are aware of the switchover. SFCC will continue their work with the CSU and will be publishing their yearly report, as well as their reports on professors and campus sexual violence. Since cutting ties with Our Turn, the CSU has not heard anything from their new board. The CSU has since decided to re-allocate the $25,000 initially set for Our Turn and giving it to SFCC. “We’re really focusing on the fact that students want to see universities taking action and making campuses safer, make our policies more survivor centric, that’s really what’s going on here, and the CSU is invested in an organization that’s getting results,” said Hutton.